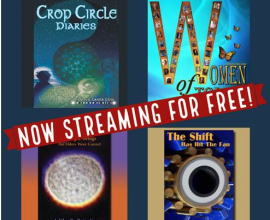 Your film “Crop Circle Diaries” presents CC evidence that simply begs to be addressed by the wider scientific community, and especially those scientists who study plants, soils, plasma physics, and consciousness. 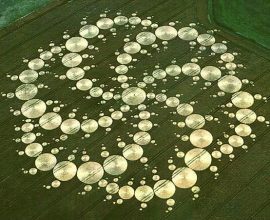 It will also find appeal among those who approach life through a more spiritually centered, intuitive perspective. Your journey to the underwater "Crystal City" is a truly remarkable description that fits well with new information. 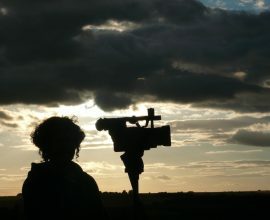 Your film has value in that it also reminds us to be mindful of the synchronicities that occur in our lives, intuitions that we will often ignore but rather we should honor and embrace as gifts to us that enrich our lives and help to move us forward. The jacket I sent you that Elliott made is a good example of this. I don't know why I was compelled to send you that jacket, but I knew that I needed to "just do it"! When everyone begins to see through the real hoax - the lie that all CCs are created by people - we will be on our way to many new discoveries not only about science, but also about the shortcomings of our current social system which has kept CCs relegated to a fringe subject when they should have been at the front and center of our attention for the past 30 years. I believe your film will help make that happen. Thanks for your hard work Patty!